Pre-Construction. To be built. OWNER FINANCING AVAILABLE!!! 13; Pre-Construction to be built. Two options – 1. The Mindera model of John Cannon Homes with nearly 4500 square feet of living area (6658 sf under roof) has 4 bedrooms, den, bonus room, 3-car garage, outdoor kitchen all overlooking the Big Pass with some of the most outstanding views of the azure waters of the Gulf of Mexico. Option 2 – has elevator! Buyers will customize their own home plans. See vacant lot listing under MLS: A4156343 This over-sized parcel has over 100 ft of waterfront directly on the Gulf and is perfect for a phenomenal, open floor plan designed home. Originally part of the Ralph Twitchell estate, this stunning property is rich in history. 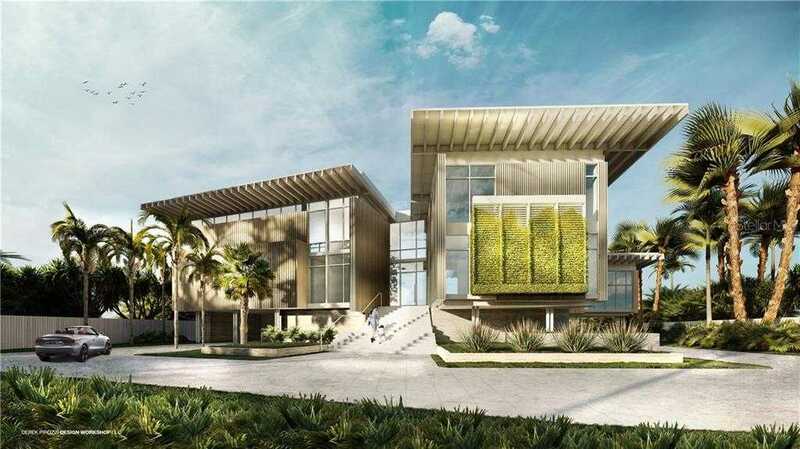 Sure to provide the most spectacular waterfront and city views in all of Sarasota. The views from this property, from the beautiful turquoise waters of the Gulf to the city lights in the evening, are an ever-changing canvass. A short stroll away is enchanting Siesta Key Village and the unsurpassed Siesta Key beach. Known for its powdery, quartz-filled sand and tranquil blue waters, Siesta Key Beach was recently voted the #1 beach in the US by Conde Nast. You will be just a quick drive to downtown Sarasota with its spectacular restaurants, culture and night life. The possibilities are limitless. You will wonder where the day has gone as you enjoy the stunning panoramic views of your new waterfront home. Whether you are entertaining or simply relaxing with friends and family this waterfront location is sure to impress. Please, send me more information on this property: MLS# A4156330 – $7,520,000 – 125 Big Pass Ln, Sarasota, FL 34242. I would like to schedule a showing appointment for this property: MLS# A4156330 – $7,520,000 – 125 Big Pass Ln, Sarasota, FL 34242.